Right from the start, Preining underscored his claim to victory. As soon as the lights went off, the 20-year-old ducked to the inside line with his 485 hp Porsche 911 GT3 Cup. This closed the gap for Michael Ammermüller (D/BWT Lechner Racing) on second to overtake. While Preining proceeded to eke out an advantage lap after lap, Ammermüller – his closest rival in the championship – lost three places after the first corner: Nakken swept from fourth on the grid to second place. 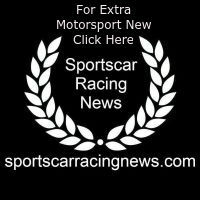 Behind the 24-year-old Norwegian, Zimmermann and Toni Wolf (D/Car Collection Motorsport) followed. Clinching second place, Nakken celebrated his best result in the Porsche Carrera Cup Deutschland. “I’ve been aiming for a podium since the first race. Now my dream has come true. After the start I saw a gap on the inside in the first corner and I immediately grabbed my chance,” said the Norwegian. Scoring third place, Zimmermann also set a personal best. The rookie even managed to beat the seasoned specialist Ammermüller on the 3.645-kilometre racetrack. The Lechner driver made several attempts to get past Zimmermann, but the 22-year-old fended him off. This made the driver from Lake Constance the best rookie of the 27-strong field. “To be honest, at first I didn’t think I could defend myself from Michael Ammermüller over the whole distance. So that makes my first podium result in the Carrera Cup even better,” said Zimmermann. Ammermüller crossed the finish line in fourth place 0.253 second behind. Fifth place went to Larry ten Voorde (Team Deutsche Post by Project 1) from the Netherlands. This weekend’s event marked a home race for Toni Wolf: The 19 year old lives around 50 kilometres away from the Sachsenring in Schönbrunn, Saxony. Wolf took up the race from the sixth grid spot and at one point had moved into fourth place. Ultimately, he crossed the finish line in sixth. Seventh place was occupied by Igor Walilko (PL/Raceunion) ahead of Glenn van Parijs (B/MRS GT-Racing). Carlos Rivas (Black Falcon Team TMD Friction) celebrated victory in the amateur class. Finishing behind the Luxembourger were the German drivers for the Cito Pretiosa squad, Stefan Rehkopf and Jörn Schmidt-Staade. The BWT Lechner Racing team had reason to celebrate. After earning 384 points, the squad from Austria has taken home the team championship trophy early. For the established team, this is the second team title in the Porsche Carrera Cup Deutschland. In the eleven races contested so far this season, at least one of the two Lechner drivers, Preining or Ammermüller, stood on the podium. In the championship, Preining has expanded his lead at the top of the points table: After eleven races, he leads the classification with 204 points. Ammermüller follows on second with 182 points. Ten Voorde occupies third with 133 points. Holding 169 points, Dylan Pereira (L/Lechner Racing) leads the rookie classification. Schmidt-Staade ranks first in the amateur class. The Düsseldorf racer has earned 199 points. 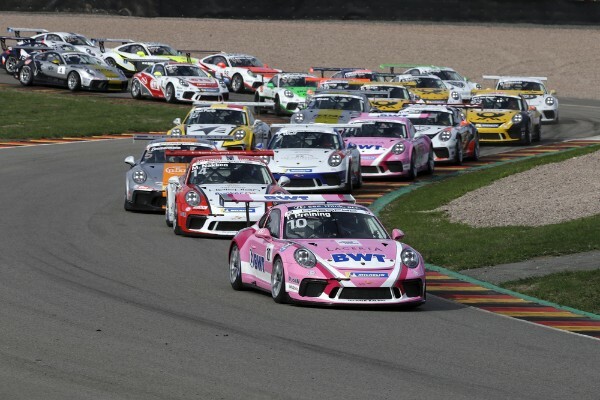 The Sachsenring also hosts round twelve of the Porsche Carrera Cup Deutschland. The race starts at 11:40 hrs CEST on Sunday.